Carl Hayman hopes that his move to Toulon will not mean the end of his All Black hopes at the 2011 Rugby World Cup. 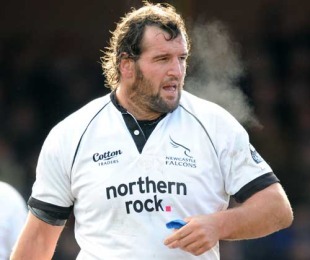 The tight-head turned down a move back to New Zealand from his current club, Newcastle Falcons, in favour of a lucrative deal with the Top 14 side. The New Zealand Rugby Union (NZRU) does not consider players based overseas for selection, although Hayman hopes that his form will ensure that he is considered. Toulon have confirmed that they will release him for the tournament, which would be his second World Cup. "I am not sure what it means for my All Blacks career to be honest, that was a big part of the decision," he told The Journal. "I hope if I am playing well enough and they want to pick me that they will, and that would be great. "I totally understand the rules and do not expect to be picked but all that is up to them to be honest. I am just going to try to play as well as I can, and if something comes of it that would be excellent, and if not, so be it. "I guess the ball is in their court. Toulon have said they would release me for the World Cup just like they would any other player under IRB regulations." For Hayman to make the World Cup squad there will need to be a serious rethink of the NZRU's policy, with chief executive Steve Tew confirming on Monday that their stance would remain. "What would the Super 14 look like for New Zealand and our teams if we had our top 10 international players all playing in Europe?" Tew told Radio Sport. "We just don't think it works."